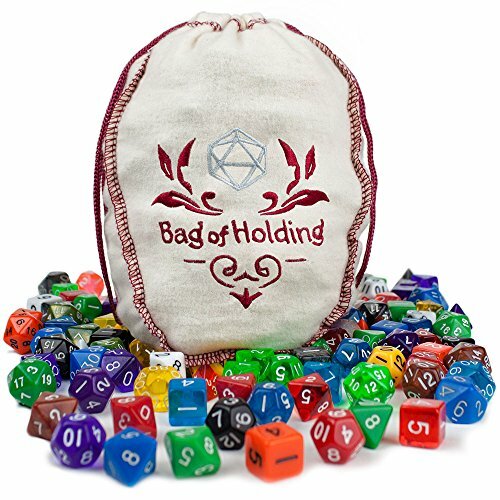 Dice Bag of Holding - Moar Stuff - You don't need it but you know you want it. The Completionist's Dream: No more random draws, and no more partial sets. 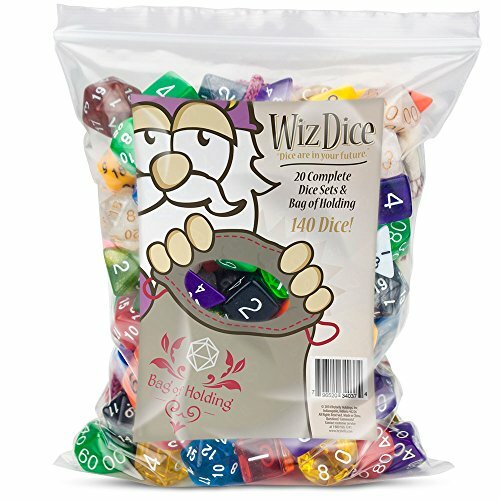 This bag contains complete sets of all 20 current Wiz Dice colors, guaranteed! 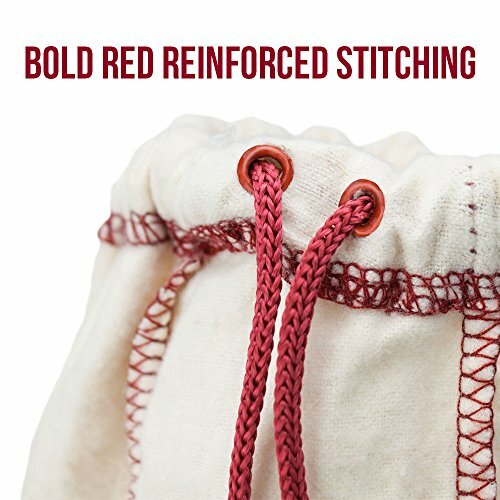 The Dice Bag of Holding is a nearly bottomless bag and includes impressive trove of 140 polyhedral dice. 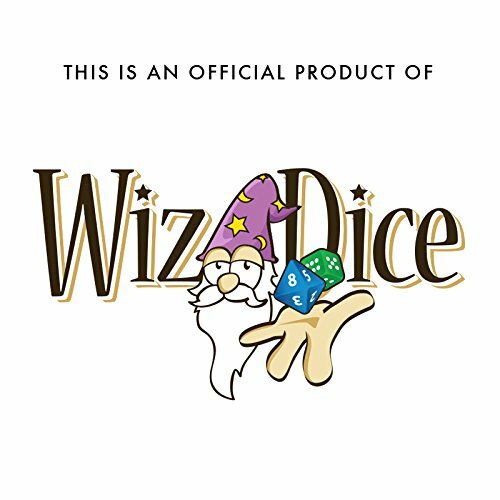 It’s great for everyone who needs RPG dice. 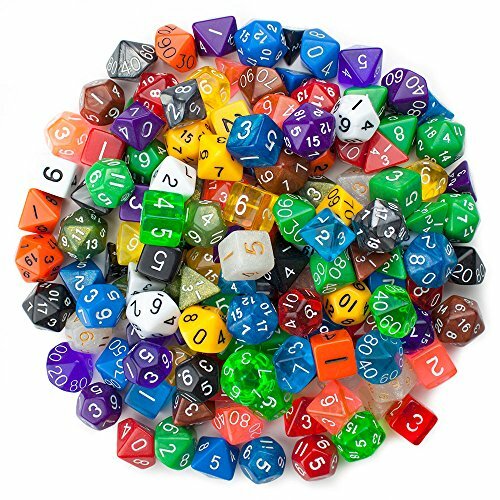 It doesn’t matter if you’re just starting out your dice collection or looking for a quick injection to your ever-growing polyhedral hoard. 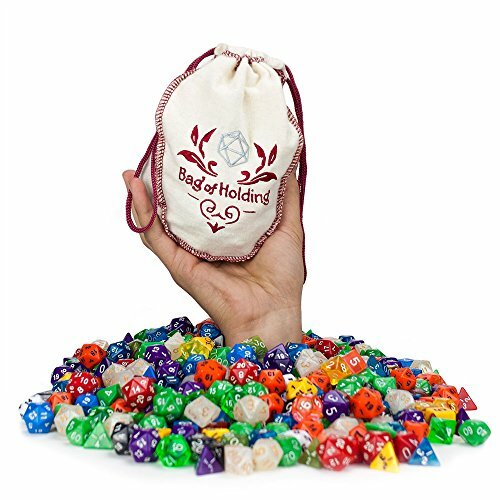 The Dice Bag of Holding’s wide, rounded base allows the bag to stand on its own when filled, and it can hold over 200 dice! 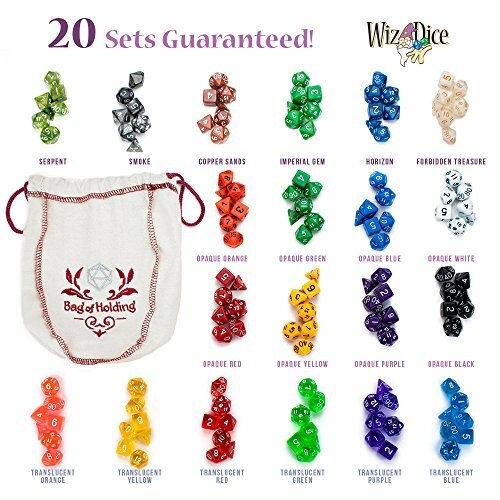 That means it can probably hold your existing dice collection as well as the 20 new sets you get with the bag. The off-white cloth is highlighted with blood red accents and a silver icosahedron (that’s the technical name for a d20, in case you didn’t know). Feeling like something more on the evil end of the alignment spectrum? 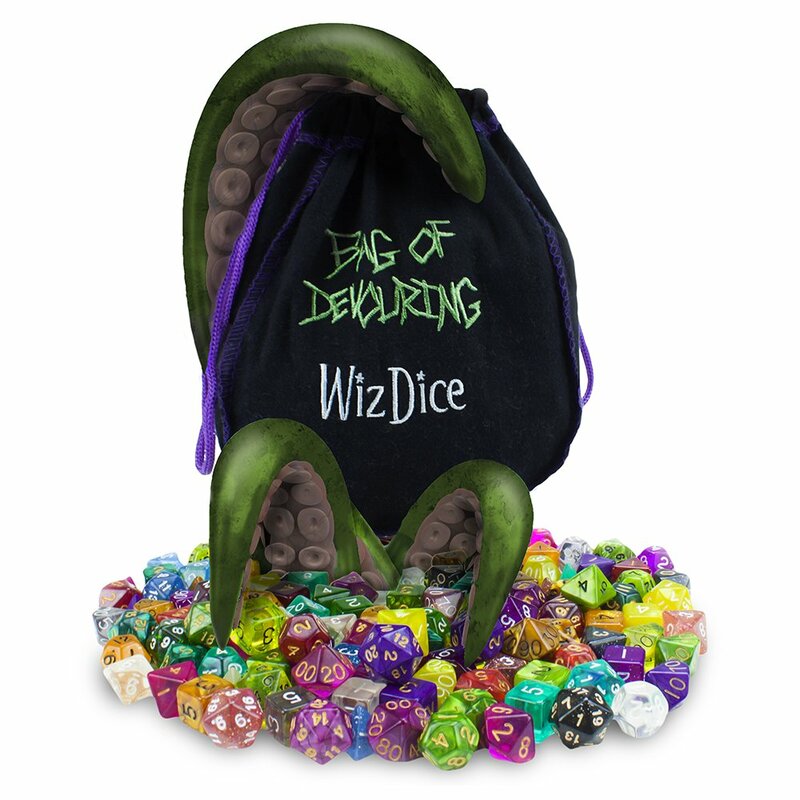 No problem, there's also the Dice Bag of Devouring for those not afraid of a little curse. So, get yours before your character levels up too much and everyone is pissed at you for needing to roll a 20d6 damage fireball one roll at a time. Yes, the other players hate you for doing that. Dimensions: 8 x 3 x 7 inches. Comes with 140 dice in 20 complete sets of 7. 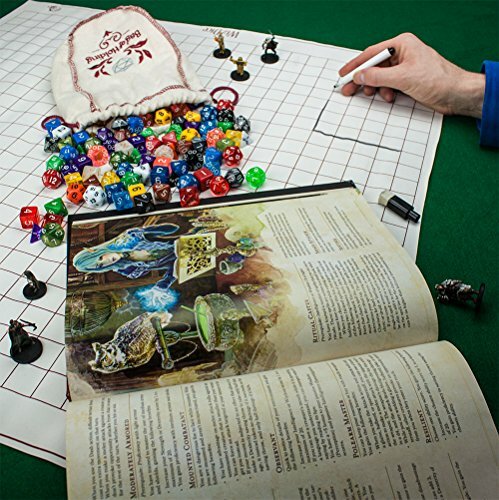 Can hold up to 200 Dice! 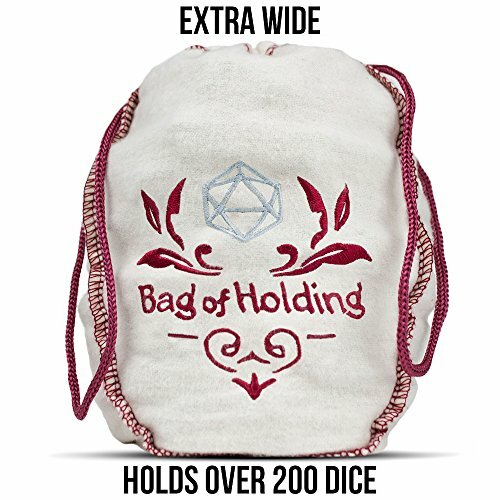 Do not place the Dice Bag of Holding in any other extra dimensional space such as a Handy Haversack. Bad things could happen.